Limbaugh will be losing WABC in New York, his home station for the past 25 years, and nearly 7% of all of his stations in total. My understanding of this is that this stems from the infamous Sandra Fluke scandal. 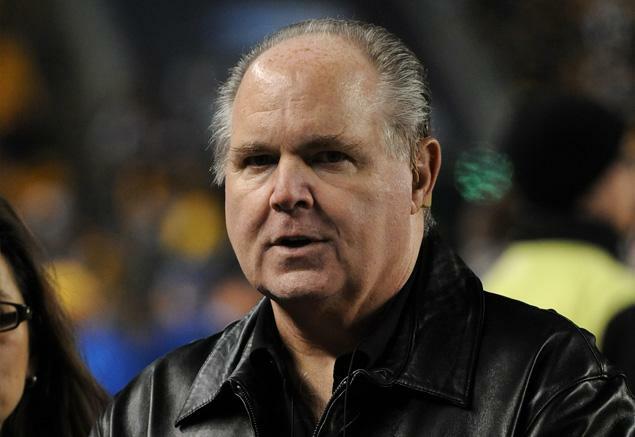 Neither Limbaugh nor Hannity are drawing enough advertisers to make their shows worth the cost to Cumulus any longer. that’s horrible and even more so that information has been left out of the several books I’ve read detailing the raid. I realize this news is old by now, but the fact that it’s been consistently ignored by the American media and left out of apparently every single book recounting the killing of bin Laden, it’s something that needs to be regularly repeated so that Americans understand the true cost of what this country did. A Brooklyn federal judge, in a Friday slap at the Obama administration, ordered the feds to end all age restrictions on sales of the controversial morning-after pill. The Food and Drug Administration was given 30 days to abide by the ruling from Judge Edward Korman, who blasted U.S. Secretary of Health and Human Services Kathleen Sebelius in his decision. The FDA made the right call by approving Plan B for all ages based on sound science and medicine, while HHS did the always wrong thing and overrode based on politics and/or personal morals. That’s the sort of faith-based governance we got from the Bush administration and it was disappointing when the Obama administration continued that civic malfeasance. It’s a disservice to the people and heartening that the courts are bringing common sense to the table by putting medicine and science before politics and other considerations.